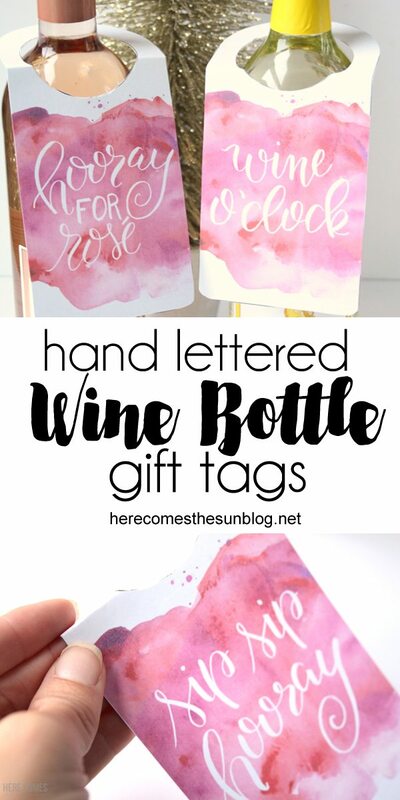 These printable wine bottle gift tags are great for holiday hostess gifts. Winter is sneaking up on us very quickly. In the past week, it dropped about 20 degrees. I left for a quick trip to NYC and it was in the 70s. I get home and today the high was around 50. So the winter season is definitely on its way. Or as I like to call it.. wine season. The holiday season and wine just go together. A lot of times, you need a glass (or two or three) just to get through the holidays, right? But don’t hog all the wine for yourself… it’s the easiest gift to give and the recipient is always guaranteed to love the gift. Unless they don’t drink alcohol. If you give them a gift of alcohol and they don’t drink, you really need to get to know your friends a little better. 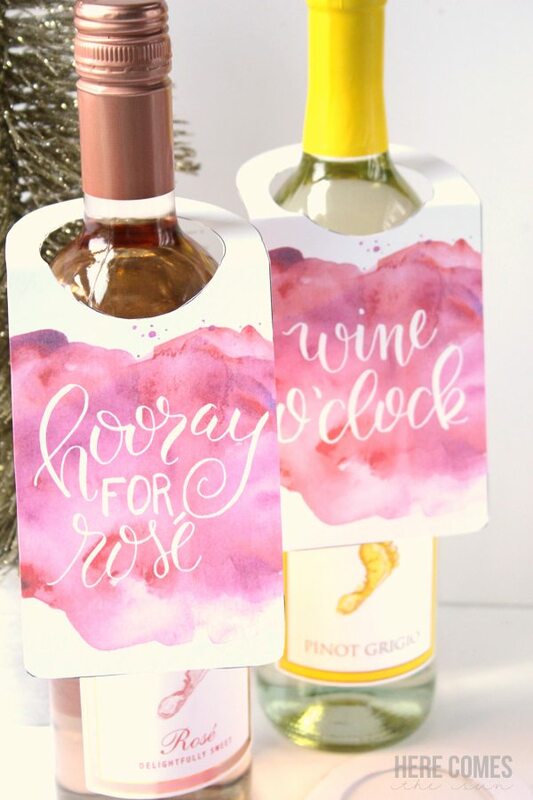 But even if your friends are more of the sparkling grape juice kinda people, these printable wine bottle gift tags will still work because I’ve made a non-alcoholic version as well. 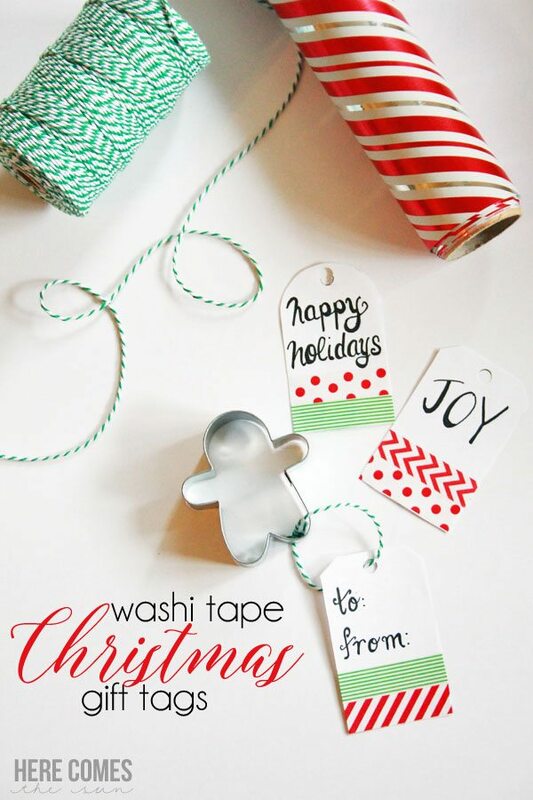 I love creating gift tags, especially hand lettered tags so when dreaming up what to create this holiday season, I knew I wanted something with a hand lettered touch. I added in the watercolor because it reminded me of wine. 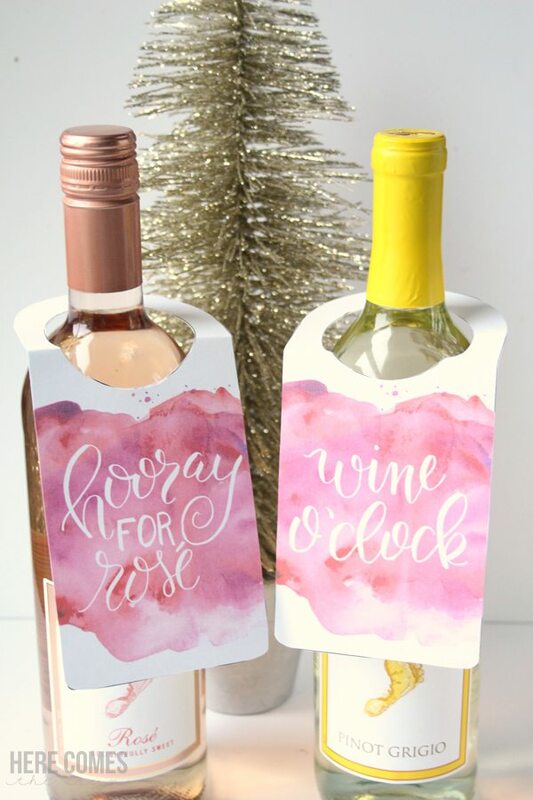 These wine bottle gift tags make gift giving so easy. Just print, cut and hang on the bottle. No extra wrapping necessary. Lightly crease the tag in the center of the circle and make a small cut. Crease the tag just below the circle cut out. Hang the tag on a bottle of your choice. 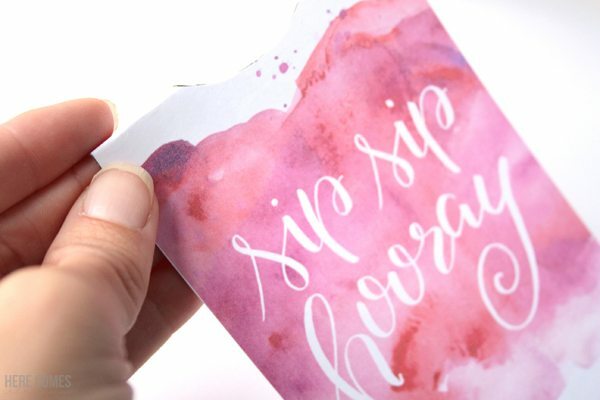 I created three different sayings, one being “Sip Sip Hooray” for those of you gifting to family and friends that don’t drink alcohol. It would go great on a bottle of sparkling grape juice. That was always a favorite holiday drink when I was growing up. 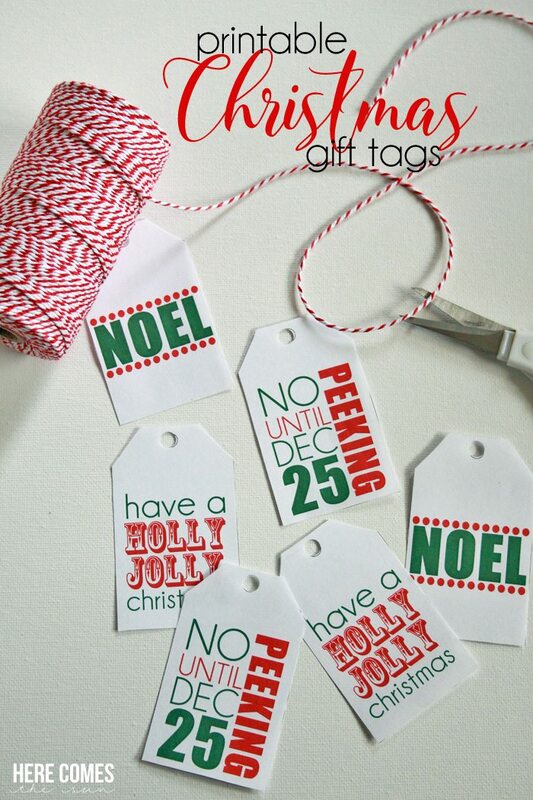 I hope you enjoy these gift tags and have a great holiday season. DON’T FORGET TO PIN THIS!